Special occasions call for a toast with a drink (or two, or three, or more). 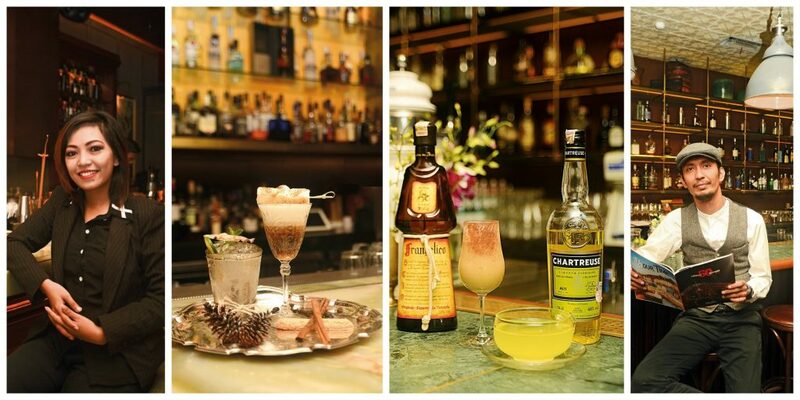 As we enter the festive season and look forward to celebrating Christmas and New Year’s, here are a few drinks, recommended and created by two of Jakarta’s most passionate mixologists, that will spice up your holidays. 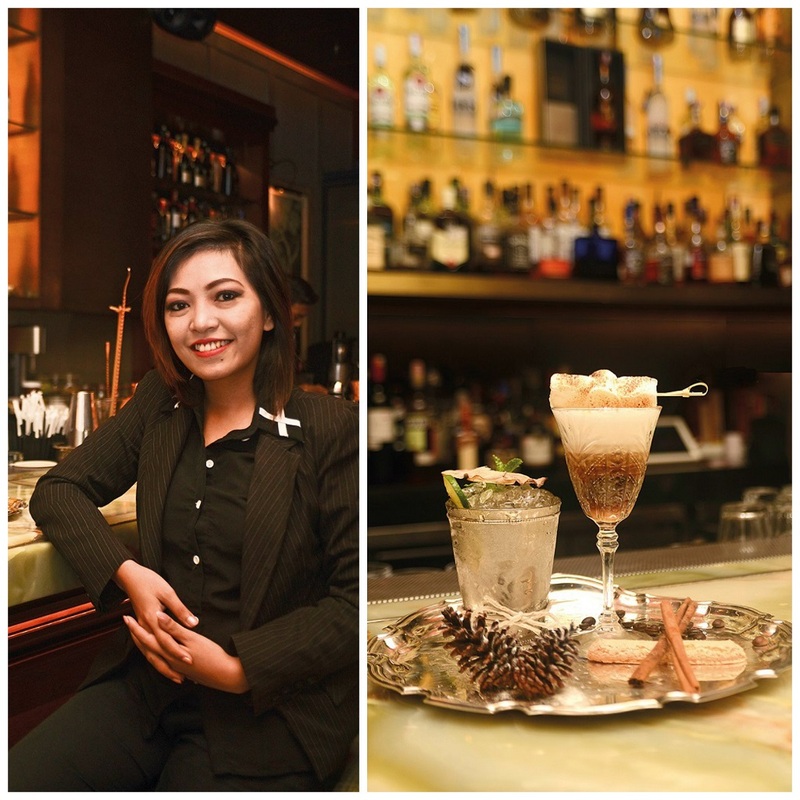 Devi Siagian, Head Bar, Olivier Jakarta Devi has been working as Head Bar at Olivier Jakarta since the venue opened its doors in June 2015. However, she has been a familiar face in the Immigrant Group since 2009 when she first joined. After a 2-year stint in the Maldives, Devi returned to Jakarta and the Immigrant Group last year. She recommends her Butter Caramel Coffee as a must-have drink for the Christmas season, as well as the Royal Buck to ring in the New Year. Butter Caramel Coffee Ingredients: Dark rum, a dash of Cointreau, unsalted butter, caramel, espresso, caramelized milk froth, burned marshmallow The Butter Caramel Coffee is a dream come true for coffee enthusiasts, as it combines a multitude of flavours and is then rounded off with unsalted butter and caramel. The burnt and caramelized marshmallow on top is not only an eye-catching garnish, but a sweet treat that perfectly complements the drink. For an additional festive feeling, Devi sprinkled edible stars on the foam. Royal Buck Ingredients: Bourbon, Manuka honey, homemade ginger syrup, lemon juice, topped with up Moet Ice champagne There is always something exciting about a New Year’s Eve Party: counting down the remaining minutes of the old year and finally welcoming the new one full of wishes, hopes and dreams by raising a glass. Devi’s Royal Buck includes a dash of champagne - the one ingredient a New Year’s cocktail definitely can’t be missing - that mixes surprisingly well with the bourbon; at the same time, the lemon juice and ginger syrup add freshness to the drink: the perfect way to say Happy New Year. Kiki Moka, Head Mixologist, Union Group As head mixologist, Kiki oversees all 14 outlets of the Union Group and is therefore - as one can imagine - always busy trying to shake up Jakarta’s cocktail scene. 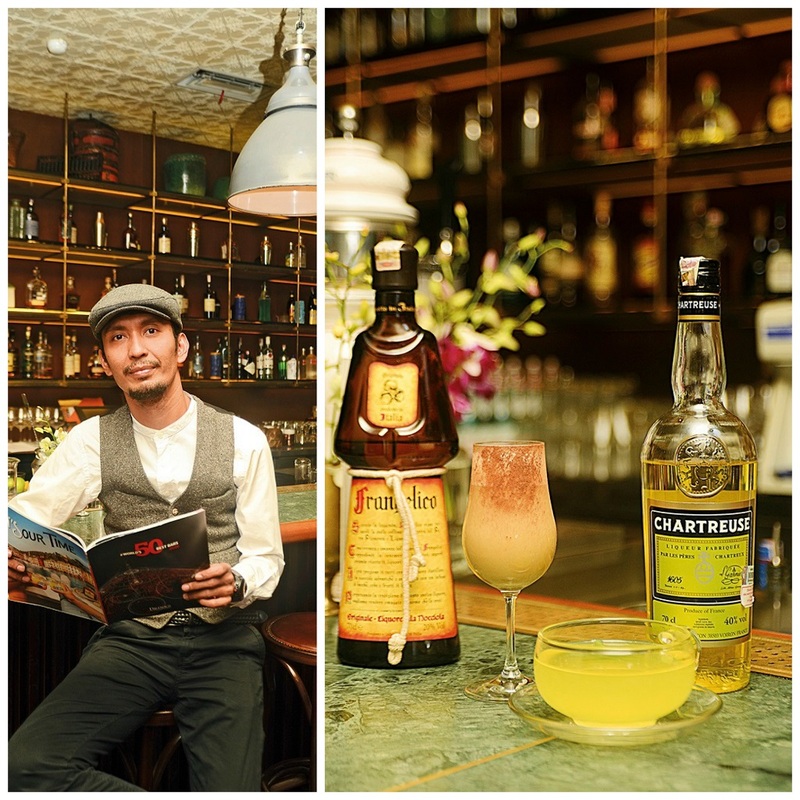 For the end-of-year holidays, he has created two unique drinks, both in the spirit of Christmas. Monastery Toddy Ingredients: Yellow Chartreuse, Botanist Gin, fresh lemon juice, hot sage water, orange blossom honey, garnish with sage leafs A hot toddy is a drink typically made of a mix of liquor and water with honey, herbs and spices. For this Christmas season, Kiki has created “Monastery Toddy”, for which he used Yellow Chartreuse as base, a herbal liquor made by Christian monasteries in France. This sweet and sour drink is perfect as an aperitif before dinner, to stimulate the appetite. It is served hot, meant to warm you up on a cold December day - in Jakarta, however, the chilly cold will most probably come from the air conditioners. Christmas Flip Ingredients: Dark rum, Jagermeister, Frangelico, egg yolk, hot milk, nutmeg syrup, garnish with cinnamon powder The Flip is a classic cocktail going back to the 18th century and is originally a mixture of beer, rum and sugar, heated with a red-hot iron - named after the method that cowboys in the Wild West used to flip and brand their cattle. Served as a digestive after dinner, it contains cream, egg yolk and spirits; Kiki adjusted the classic recipe and used Frangelico for his Christmas Flip, a noisette and herb-flavoured liquor to add more aroma.